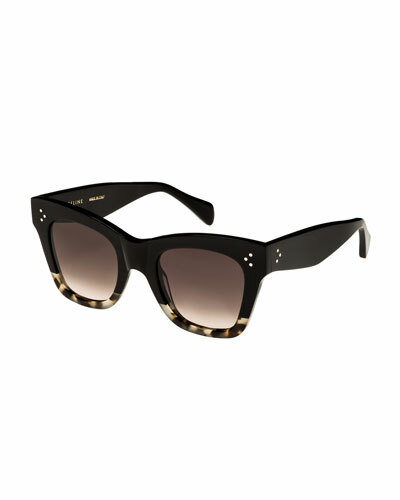 Alice + Olivia "Bel Air" sunglasses in acetate. Pearlescent beads adorn frame front. Round lenses with antiglare and anti-scratch treatment. 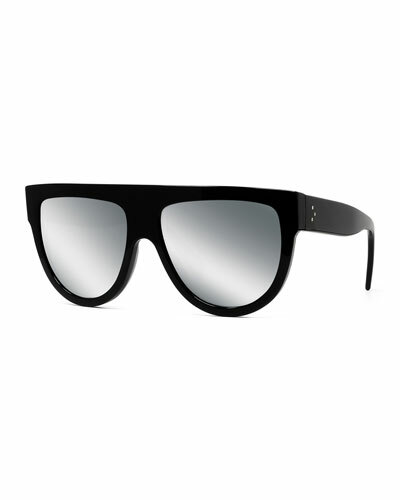 Garrett Leight cat-eye sunglasses in collaboration with Claire Vivier. Lens/bridge/temple (in mm): 47-21-145. Translucent cured cellulose acetate frames. CR-39® nylon lenses with antireflective coating. Best on small to medium faces. Double-pin details at frame front and temples. Tapered arms. 100% UVA/UVB protection. Imported. Illesteva round sunglasses. Single-sheet, mirrored iridescent lenses. Logo script at left. Rimless frame front with stud detail. Keyhole nose bridge; silicone nose pads. Bead detail at temples. Wire arms. Coated ear pieces. 100% UVA/UVB protection. Made in Italy.